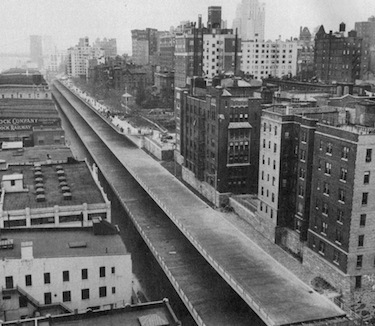 Brooklyn-Queens Expressway in Brooklyn Heights; Promenade visible at top left. Once the dust of progress settles? And built a highway over it. In the name of slum clearance. Carving our city to pieces.